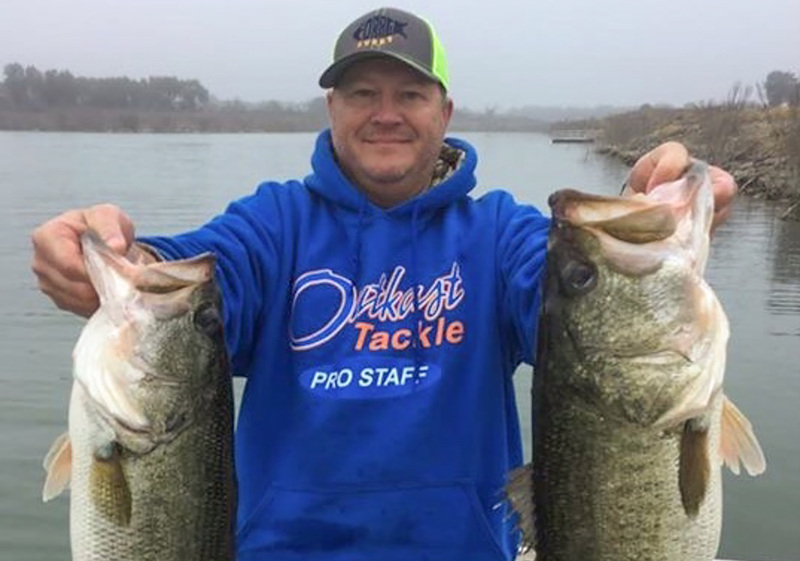 Winter brings opportunities for stripers on Lake Texoma. If you can bundle up and bear the cold, some of the biggest stripers can be caught this time of year. 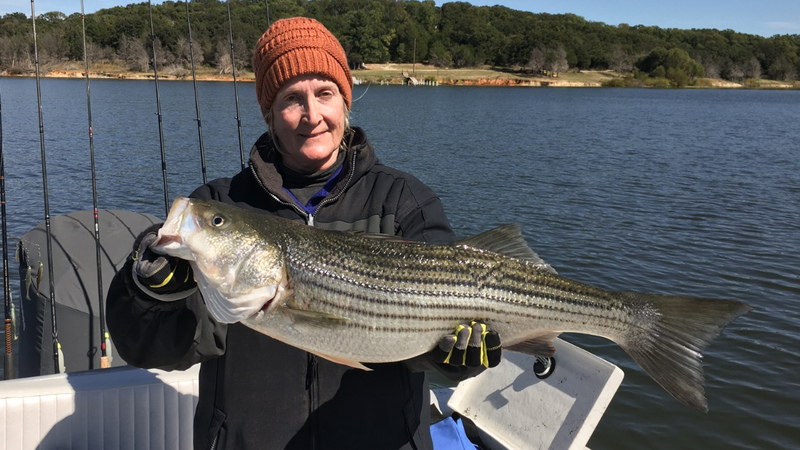 January is the heart of “dead-sticking” season for striped bass at Lake Texoma. This method contradicts every instinct of a typical Texas bass fisherman — you simply tie on a 1-ounce jig-head and a 4- to 5-inch split-tail fluke, lower it to the depth at which you see fish on your sonar and wait for a faint tap or slight pressure on the line. There is no rod movement involved in dead-sticking — hence the name. Shad don’t want to move much when the water temperatures are below 60 degrees, so they go into survival mode, finding the warmest water and forming tight schools in deep water. If you find shad, it’s a good bet that stripers are nearby. Stripers don’t have to chase these shad and are most certainly hungry and feeding this time of year — they will often bite all day long during the winter. The best jig-head style for dead-sticking is one with the eye of the hook on top of the jig-head; you want the bait to sit horizontally in the water, mimicking a shad. At Texoma, many anglers try to find solid-body flukes to use while dead-sticking. These plastic baits tend to last a bit longer than hollow-body flukes before being torn apart by too many hard hits by a striper. It’s important to have a sensitive rod tip to alert you to a bite because the strike is often so faint you may not even feel the fish on your line. Most boats drift with the wind while dead-sticking; however, it is important to keep the boat moving as slowly as possible to keep the line straight up and down in the water. Many fishermen use a drift-sock to slow the boat speed down in stronger winds. If you find a school of fish and don’t get a bite within 15 to 20 minutes, your best bet is to move on and find a more active group of fish. 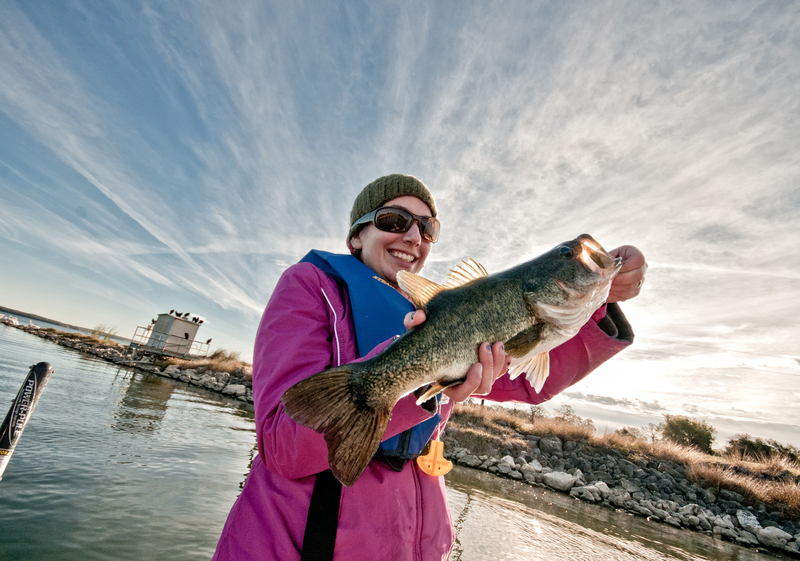 The discharge from the power plant warms the lake, providing great winter bass’n. Many plants are being decommissioned, but the Fayette plant is still operating. The parking lots are full nearly every weekend and holiday in winter, but it doesn’t seem to deter the fish. The secret for fishing Falcon this time of year is to watch the weather in South Texas. The best time to go is on the heels of a two- to three-day warming trend with a south wind. The bass begin spawning here as early as November, but many will be in the spawning mode now. 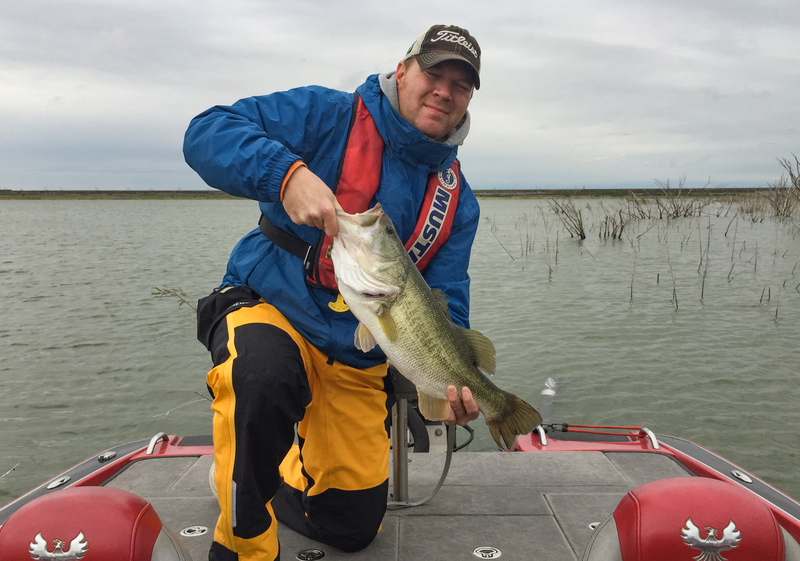 You can find big bass here that are susceptible to lipless crankbaits in winter. Find grassy areas and fish the lure at a medium to fast retrieve. Depending on water level, submerged bushes may be harder to fish with a bait that has open treble hooks, but the effort will pay off. 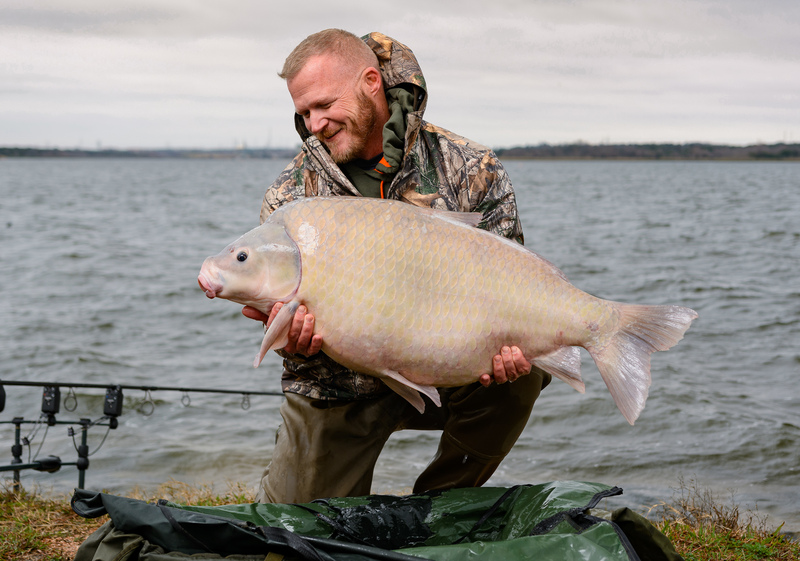 Select anglers from all over the world come to this East Austin lake to catch giant smallmouth buffalo, which can weigh more than 50 pounds here. These fish are available year-round but cruise in shallower water during the colder months.